Brooklyn Community Foundation Endowment Fund supports the community foundation, a nonprofit organization dedicated to enhancing and supporting the quality of life in Brooklyn. Brooklyn Historical Society Endowment Fund supports the historical society, which works to foster awareness and appreciation of Brooklyn are history, preserve local artifacts, and assist with community historical activities. Brooklyn Volunteer Fire Department Endowment Fund supports the operations of the Brooklyn Volunteer Fire Department. Central Park Project supports a planned renovation project for the Grinnell Central Park. Renovations include the construction of a new shelter with restrooms, a covered stage, a central plaza with water feature, natural and sand play areas, an interior walkway and memory walk with interpretive panels. 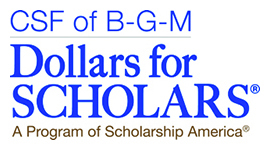 Citizens Scholarship Foundation of BGM Endowment Fund provides support for the Citizen Scholarship Foundation of BGM. Uniting community members to ensure all children develop into skilled readers through sustained initiatives and research-based actions. When community members and schools unite to form strategic alliances, determine actions and implement research-based initiatives around early literacy, young children will acquire the necessary abilities required to develop their full potential as independent, skilled readers. For more information about CLIK, please contact GPCF at 641-236-5518. The Dr. Kevin W. Sterk Elementary Student Needs Endowment Fund was created by Glenn and Ginger Sterk in memory of their son and is used to provide nutritional and physical needs support to students in lower elementary schools in Grinnell. The Drake Community Library Endowment Fund supports programming activities and community outreach initiatives of the Drake Community Library and was started in honor of longtime library director, Lorna Caulkins. The East Poweshiek County Ambulance Service Endowment Fund supports the operations of the East Poweshiek County Ambulance Fund. Gifts to the GPCF Administrative Fund pay for the Community Foundation’s ongoing expenses, including overhead, staffing and support services. The support services costs include the bookkeeping and auditing of each fund as well as staff time devoted to investment oversight, making grants, acknowledging contributions, and exercising the required due diligence over grants made from funds to non-profits or scholarship recipients. The Grinnell Area Arts Council Endowment continues to build a permanent fund to support education, community theatre, the Grinnell Art Gallery, scholarships and mini-grants, and general operations of the Grinnell Area Arts Council. The Grinnell Historical Museum Endowment Fund provides a link to the city’s history through research, preservation and educational programs. Income from the fund helps provide the museum with revenue for operating expenses and special projects. The Grinnell Regional Medical Center Endowment Fund assures the long-term success and prosperity of the medical center, providing support for capital improvements, construction projects, large equipment purchases, special programs, and other needs. GRMC is a private, nonprofit, non-tax supported hospital. The Grinnell Regional Mental Health Endowment Fund provides quality mental health services to area residents and helps cover the costs of unreimbursed mental healthcare. The Grinnell Veterans Memorial Commission Building Campaign supports the renovation of the Veterans Memorial Building located in Grinnell. The building is used by the community for meetings and events and is located in Central Park in the heart of downtown Grinnell. The three-phase project has a fundraising goal of approximately $1 million. The Lutheran Services in Iowa (LSI) Endowment Fund provides services aimed at strengthening struggling youth and families, preventing abuse and neglect, supporting independence for people with disabilities and nurturing the well-being of older adults. Income from the fund supports LSI’s mission. The Mayflower Community in Grinnell is an affordable senior living and healthcare organization that provides home and support to its residents. Earnings from the Human Needs Endowment Fund are used to help residents who are unable to pay the full cost of their healthcare. The Michael J. Manatt Community Center Endowment Fund supports the charitable purposes of the Michael J. Manatt Community Center. The Montezuma Community Fund supports the work of charitable organizations that serve the Montezuma community. The Montezuma Public Library Fund supports the activities and operations of the Montezuma Public Library located in Montezuma, Iowa. The Montezuma United Methodist Endowment Fund is A fund to support the operational activities of the Montezuma United Methodist Church. The Montezuma Wellness Fund supports the wellness activities of the Montezuma community. The Tom and Connie Marshall Administrative Endowment Fund seeks to expand the administrative fund to $1 million. Earnings from this fund will provide support for the operating expenses of the GPCF. If the community is able to raise $800,000, the Claude W. & Dolly Ahrens Foundation has made a commitment to contribute $100,000!